The placenta is your body’s temporary organ that encases your baby during pregnancy. This organ carries nutrients and oxygen from mother to baby, as well as removes waste from the baby. While the idea may be a foreign one to the United States and Salt Lake City residents, the practice of consuming the placenta, usually done as placenta encapsulation, is a centuries-old custom. Placenta encapsulation is now gaining popularity here at home. If you are still on the fence, we invite you to read the benefits, as well as a few stories of women who have benefitted from its practice. 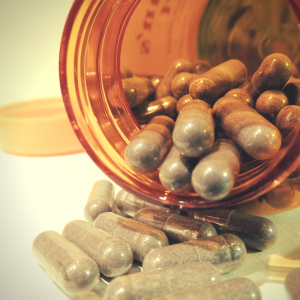 The Traditional Chinese Medicine method for placenta encapsulation is a fairly simple one. After your delivery, the encapsulators collect your placenta, clean it thoroughly and prepare it for dehydration. The next step is to steam the placenta with a special, herbal blend that aids in the physiological and psychological benefits of consuming the placenta. Finally, we dehydrate it, ground it into a powder and place it into capsules. Typically, your placenta yields about 100-200 capsules which you can store in a dark cupboard or in the freezer if you plan on using them at a later time. Some women, for instance, find them beneficial during menopause or monthly menses. If we peaked your interest on placenta encapsulation, we would happily answer any questions you may have. Though the studies are limited, we have personally seen many success stories from women who previously experienced postpartum depression and negative side effects of severe sleep deprivation. Contact us today for more information.